The Pittsburgh Penguins continued their energy burst coming off their bye week with a convincing 5-2 victory versus the New York Rangers Sunday January 14. Not only did the win extend their current winning streak to four games, it also became a night of milestones for a few of the players. Phil Kessel had a banner night. With his power- play goal in the second period, he became just the third American-born player in NHL history to hit the 20-goal mark for ten consecutive seasons. He falls in line with fellow Americans Patrick Kane (Chicago Blackhawks) and Keith Tkachuk (retired). That goal would also notch Kessel his 700th career point in the NHL. Carl Hagelin also had himself a milestone evening. 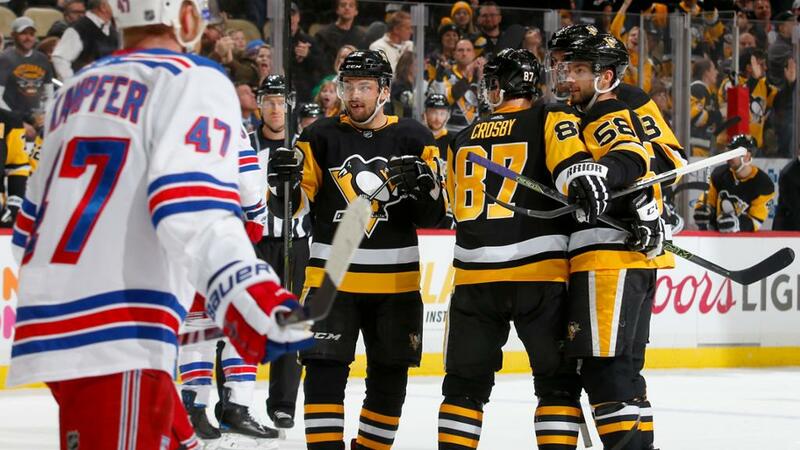 His assist on a goal by fellow Swede, Patric Hornqvist, gave Hagelin his 200th career point. He would also score an empty net goal during that same contest. To finish off the night, Dominik Simon earned himself his first NHL goal. He has been finding a lot of chemistry on the wing with Sidney Crosby, and has been getting some great scoring opportunities as of late. It was only a matter of time before it paid off. The Penguins will head to their annual West Coast swing to take on the Anaheim Ducks, LA Kings, and San Jose Sharks later this week. Make sure to take a little nap to prepare for late night hockey. He's very good at sports.